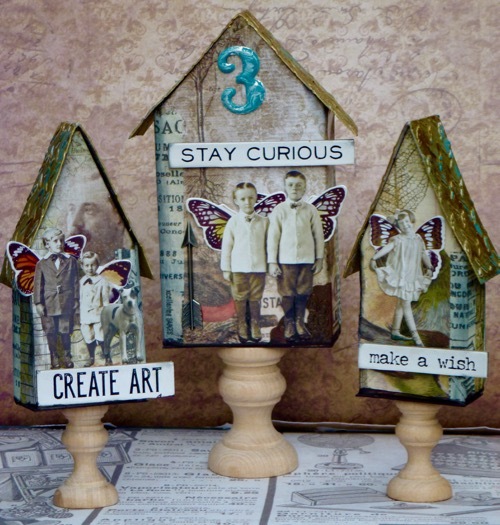 Hi everyone......it's Annie of Curious "N' Crafty Treasures here as your host for this month's April Challenge and the theme is " The Magic of Three". 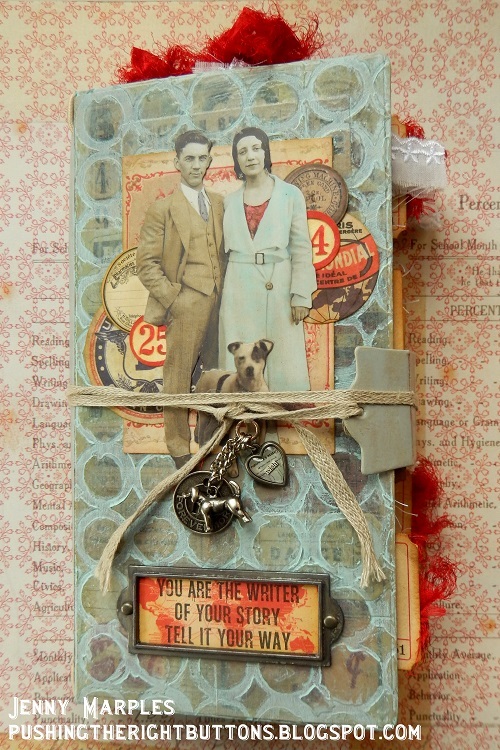 Let us know what your magic 3 components are and ensure your project is in our vintage; shabby; mixed media; art journaling; industrial, timeworn or steampunk styles that we favour". Further Travelling Instructions are also available on the Sidebar. 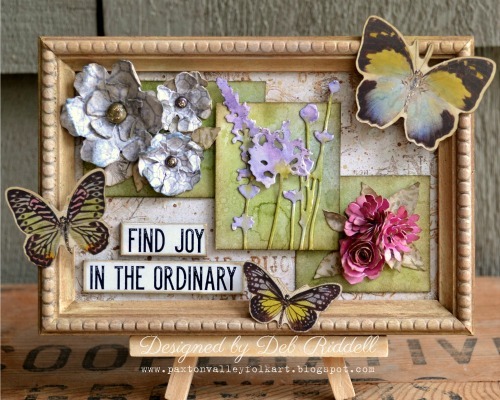 As always the Creative Guides have composed the most fabulous projects for this months challenge theme and I am sure you will be inspired.........grab a cuppa and enjoy the journey!!!! 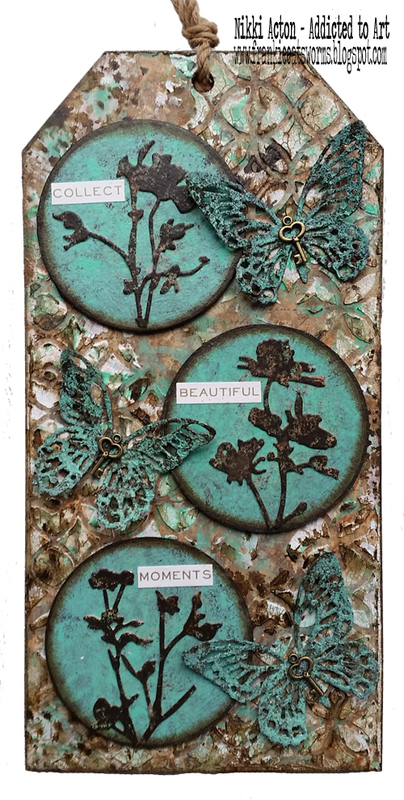 I had so much fun exploring how many ways I could incorporate trios of design elements into my mixed media frame for our Magic Of Three challenge. Hope you can stop by my blog to find out how many threes I managed to use! 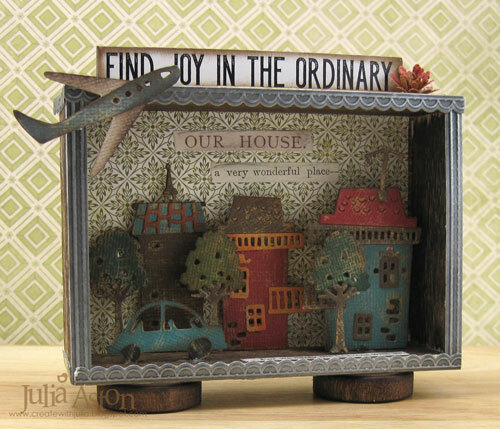 If you'd like to see that 3rd sentiment and details on how I put this together - please stop over at my blog. I've got a tiny trio for you - an ATC of trilling, chirping birds, perched amidst the springtime leaves. 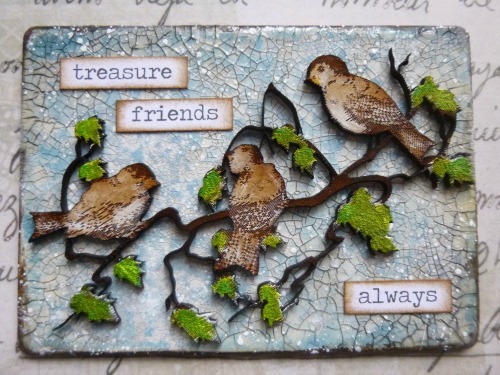 There are three words to go with my three birds - all adding up to the Magic of Three. Do come over to Words and Pictures if you'd like to see the details. Such a fun challenge - I got to go stash diving for this one and came up with lots of great items & used them quite literally, including a 3 letter word as a final touch. 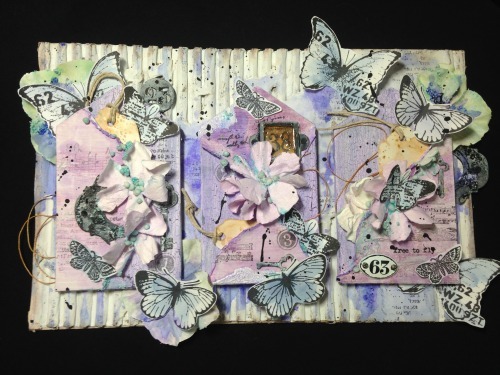 I loved playing in my A4 journal for this great challenge from Annie layering lots of paints for the background and layering up bits and pieces for my collage, as you can imagine I enjoyed every minute of it. If you would like to see how it all came together then please pop over to Bumblebees and Butterflies to see my magic of three in more detail. 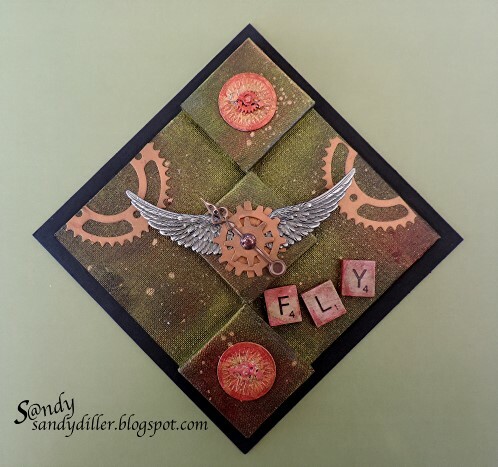 For my 'Magic of 3' project I have created an art panel working with quite a few variables of 3 .There are more details on my blog if you fancy popping by to find out what they are. I had a lot of fun putting the Magic of Three to use on my wall hanging. I hope you will take a minute to stop by sarascloset for close-ups and to see how I made my tags and altered my embellishments. You might even want to guess how many groups of three I used on this--I stopped counting after 10! Like everyone else I have been experimenting with the new Distress Oxides and decided to use three of my experimental tags for my little project but realised I also ended up using three colours, three cogs and three labels !! Please do join me over at Live The Dream if you would like to see the wonderful Distress Oxide backgrounds before I covered them up! It's a long time since I have created a journal page and this challenge seemed the perfect opportunity to put that right. I love using three of anything in a composition and my pages have multiples of three in abundance. Please pop by my BLOG for step by steps. 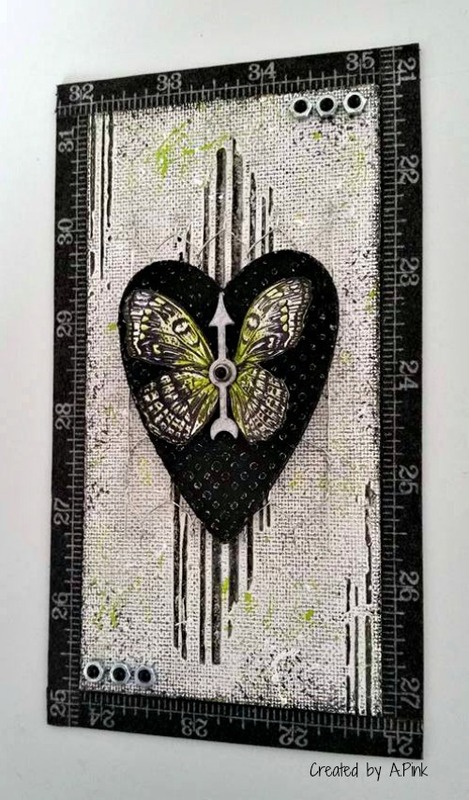 I had great fun playing with distress paints, crackle texture paste and distress crazing collage medium on this large MDF tag. There are lots more details over at Addicted to Art today. 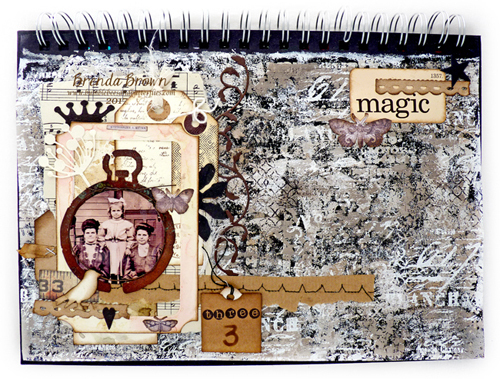 It has taken some time but finally my latest junk journal is ready to be revealed in full! During it's creation I have relied heavily on the Magic of Three as a design rule. Hop on over to my blog to see a video and close up photos of the contents. We do hope you will join in with us on the Magic of Three Journey this month and you can link up your entires by using the Inklinkz below. Our sponsor this month is Emerald Creek Craft Supplies who are offering a gift certificate to our Random Org winner. You can check out their online store HERE. As always the Creative Guides choose three entries who are awarded our Pinworthy Badges and the chance to be a Guest Creative Guide in future challenges. Amazing projects using the Magic of Three! I'll be around soon to see your details, but for now, each one is stunning! 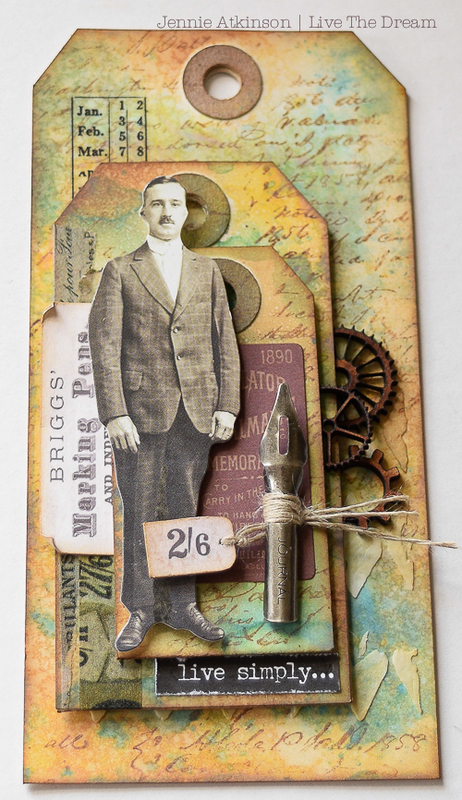 Amazing samples from you all teamies, - hope to get time soon to see all your makes in detail! Fabulous samples from the design team. Gorgeous and inspiring works of art. What exciting looking projects - I'll be round very soon for a closer look at all the details. Looking forward to seeing the magical entries too! A fantastic gallery of projects with so much inspired creativity! Everyone. 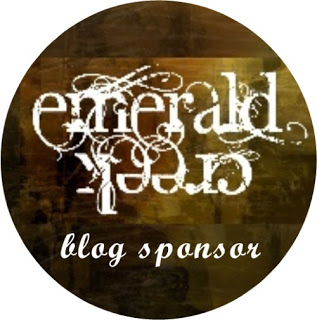 Looking forward to popping by all of your blogs later to delight in the detail. Hope everyone has a lovely weekend . Great DT projects... I love creating in 3's! What a fantastic line up! Great theme too. Wow the inspiration is just-wow!! I'm so impressed with these beautiful and diverse projects! Way to go team!